OAKLAND, Calif.--(BUSINESS WIRE)--Impossible Foods launched production this week at the company’s first large-scale plant. The plant in Oakland, Calif., is now ramping up production and will eventually have the capacity to produce 1 million pounds of plant-based meat per month. That’s enough to serve about 1 million quarter-pound Impossible Burgers per week. As the 68,000-square-foot plant scales up production, more and more restaurants will be able to serve the plant-based Impossible Burger on their menus. Click here for the current list of locations and details. The Impossible Burger is produced without hormones, antibiotics, cholesterol or artificial flavors. It uses about 75% less water, generates about 87% fewer greenhouse gases and requires around 95% less land than conventional ground beef from cows. As the plant in East Oakland ramps up and achieves greater economies of scale, the environmental footprint of each burger produced there will decrease. 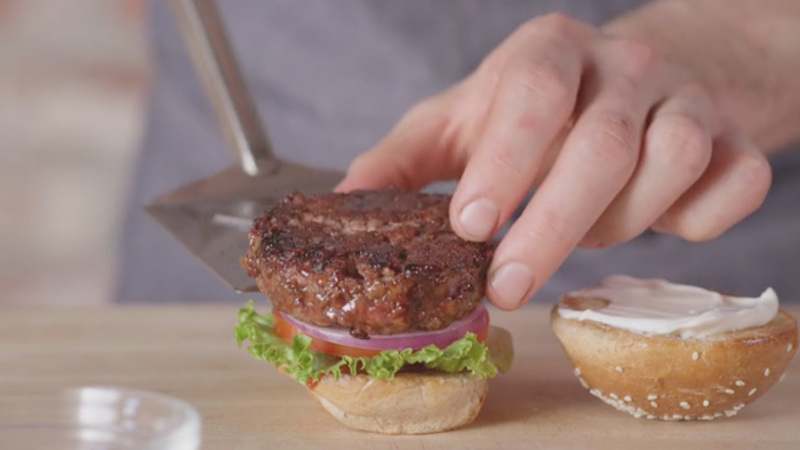 The Impossible Burger is served at more than 40 restaurants throughout the United States, including popular restaurant groups Bareburger, Umami and Hopdoddy. The burger is also sold at award-winning establishments in New York, San Francisco, Houston and Las Vegas. After the Oakland plant is fully ramped up, Impossible will introduce Impossible Burgers in more restaurants, as well as introduce the flagship product in retail and international markets. The company is also developing additional plant-based meat and dairy products. 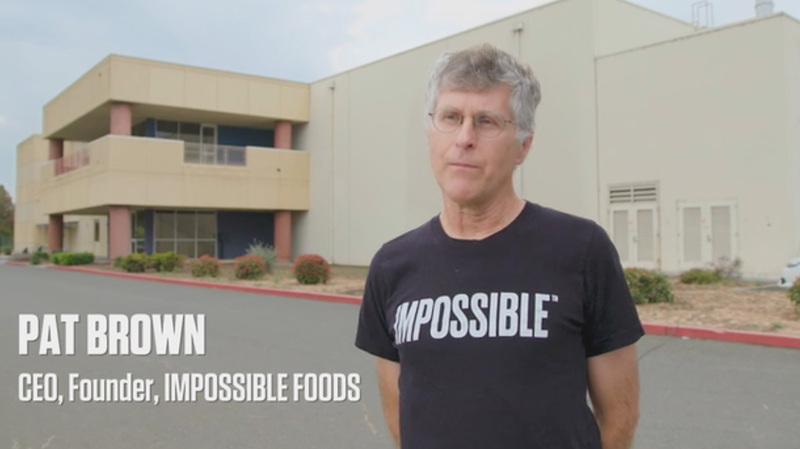 Impossible Foods employs about 200 people, including more than 40 people in Oakland. When fully ramped up, the plant will employ about 80 people.